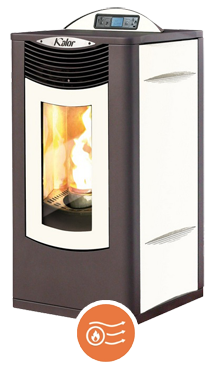 We are Ireland's foremost supplier of quality wood pellet stoves. We also offer the unrivalled technical back-up and expertise in this sector. 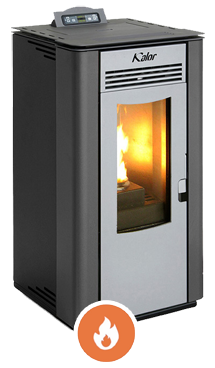 We believe that Kalor Stoves represent the ideal fit for you in terms of efficiency, style and cost. 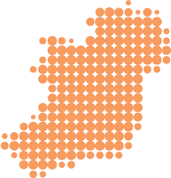 Our comprehensive and lenghy background in the wood pellet industry and extensive training by Kalor makes Wood Pellet Stoves.ie the No. 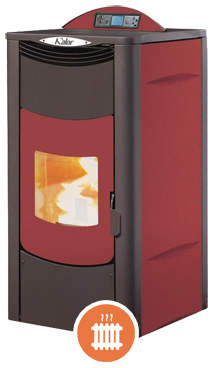 1 choice when buying a wood pellet stove. 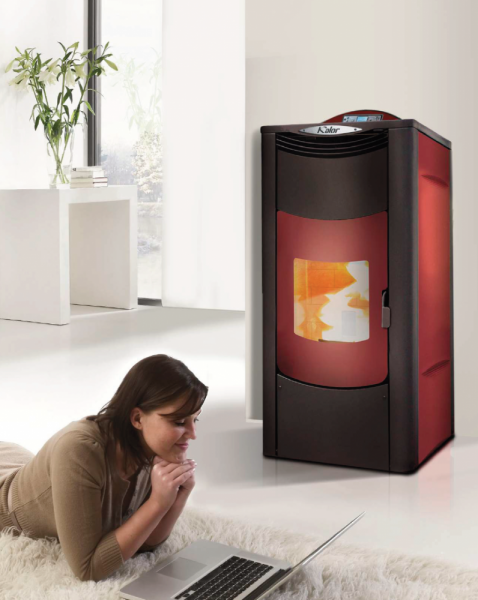 Wood Pellet Stoves.ie are delighted to supply the full range of Kalor wood pellet stoves and boilers. 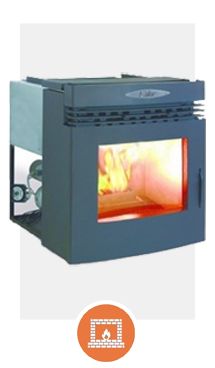 Kalor stoves are the most efficient and reliable wood pellet stoves on the market and are offered at very competitive prices. A stove which supplies all of its heat to the room in which it is placed. The distribution of the heat is assisted through a small fan. 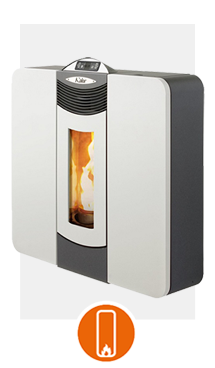 A stove with an integrated boiler; suitable for Direct Hot Water and/or central heating. It is suitable for radiators and/or underfloor heating. A stove, without a boiler, with one or more "ducts" at the rear of the stove to easily distribute some or all heat to adjacent rooms through a simple pipe (duct). A stove designed to save space. Kalor Slimline stoves are only 249mm (10 inches) meaning they are not intrusive into any room in which they are placed. A stove which can be inset into a wall, with only the front "facia" of the stove visible after installation. Insert stoves are very neat and have a "TV screen" appearance.